Amazing mountain views to gaze at from a large, beautiful, recently poured patio! 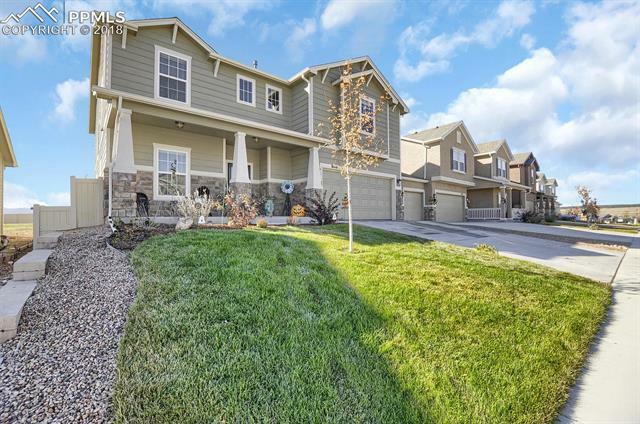 Home less than 2 years old features a 3 car fully insulated tandem garage, granite counter-tops in kitchen, humidifier, central air, 2# faux wood blinds; extended driveway and vinyl fencing! Close to powers corridor, Peterson Air Force Base, Schriever and Air Force Academy. Why buy new when you can move into this immaculate, well cared for home! Brand new Legacy Peak Elem. School for Modern learning open this year, just to the North!